The Prince of Wales has again spoken publicly to express his feelings about persecuted Christians. 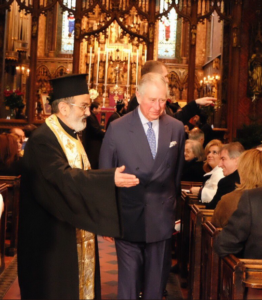 In a Christmas address to the Melkite Greek Catholic community at St Barnabas Church in London, Prince Charles said “it is heart-breaking beyond words to see just how much pain and suffering is being endured by Christians, in this day and age, simply because of their faith”, reports The Tablet. Prince Charles described how, throughout his life, he had tried “to foster understanding between people of faith, and to build bridges between the great religions of the world”, but said the “barbaric persecution” of Christians is “even more perverse and dreadful” given the Quran’s spirit of reverence towards Jesus and his mother Mary, the Catholic newspaper said. The Melkite Archbishop of Zahle, Furzol and the Bekaa [valley, in Lebanon], John Darwish, had travelled to London to be at the service, and the prince said he was “profoundly shocked” to hear from him about just how much the Melkite community in Syria has suffered and endured. 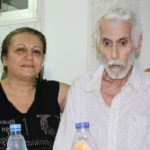 The Melkites mainly consist of Lebanese, Syrians, Palestinians, Jordanians and Egyptians. 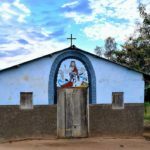 It claims to be the largest Catholic community in Syria and the Palestinian Territories, and the second largest in Lebanon, where Melkites in Archbishop Darwish’s diocese have been providing aid to refugees who have fled Syria. Three years ago, the prince made a video message to be shown at the launch of a report by Catholic aid agency Aid to the Church in Need, describing threats to Middle East Christians as “an indescribable tragedy”.